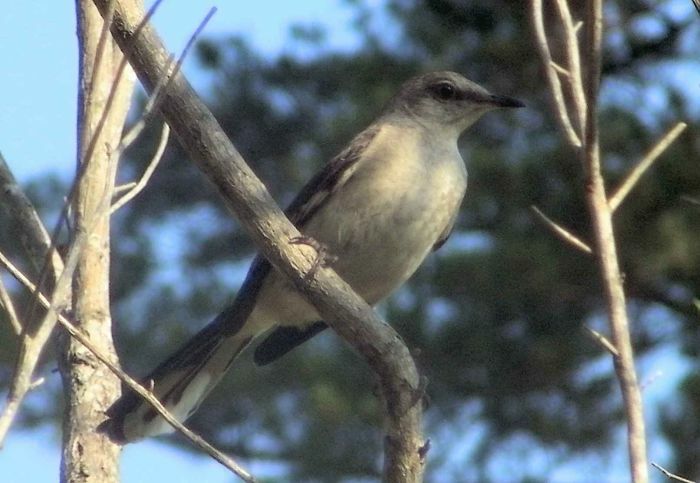 The ubiquitous northern mocking bird (Mimus polyglottos). It is the state bird of Florida. Mocking birds are very territorial and rule our yard (as far as birds are concerned). They like to attack and chase other birds even crows etc. They have a large repertoire of songs (including many "imitations") which tend to be short and repetitive.